Massage therapy is a hands-on manipulation of the soft tissues of the body, specifically, the muscles, connective tissue, tendons, ligaments and joints for the purpose of optimizing health. Massage therapy treatment has a therapeutic effect on the body and optimizes health and well-being by acting on the muscular, nervous and circulatory systems. Physical function can be developed, maintained and improved; and physical dysfunction, pain and stress can be relieved or prevented. 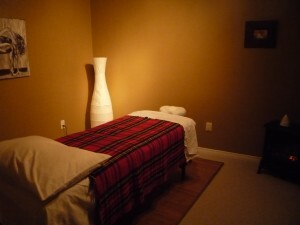 Modern massage techniques can be traced back to the 1700′s and the development of Swedish massage. Today’s Massage Therapists use their knowledge of anatomy and physiology to combine traditional Swedish and modern Massage Therapy techniques with exercise and other therapies to treat their clients. Every treatment is personalized based on an initial assessment and health history. The assessment may consist of various tests to determine the condition of your muscles and joints. Typically the massage therapy treatment is delivered directly over the skin but depending on your comfort level it may be successfully performed when you are fully clothed. Every specific manipulation during the treatment is delivered with your level of pain tolerance, and the treatment can be stopped at any time should the treatment become uncomfortable. Massage therapy is not covered by OHIP, but many private insurance companies cover the treatment as part of their extended health care plans. Please consult your policy. Ontario’s Workplace Safety and Insurance Board (WSIB) provides coverage for massage and acupuncture therapy. Registered Massage Therapy is also covered under your Motor Vehicle Insurance, if you have sustained an injury in a car accident. Serving from our Newmarket office. Designed by Nairda with help from Ula.